In the era of the operative builder, the Fellows of the Craft represented the professional Masons. They were mature men who had passed their years of apprenticeship and were skilled in the arts and the sciences of their calling. It was these men who would erect the houses of faith and temporal power which characterized their day. The Fellow Craft represented the craftsmen dedicated to learning, in both its moral and intellectual aspects. These men are filled with the mission of speculative Masonry today. The instructor who has pondered the Fellow Craft Degree in an honest search for what it has to say to him during his years of manhood is bound to be of great help to the new Fellow Craft. Such an instructor will find a natural bond between himself and the man he wishes to assist, this bond has its substance in the community of human experience. Because it is necessary for the instructor and the new Fellow Craft to consider the full implication of the degree and not just its parts, an interpretation of the ritual has been included in the handout materials. In addition, this overview ends with a discussion of the degree and the role of the instructor, which may serve to highlight the many facts of this degree. The review session follows the format used in the orientation session for the Entered Apprentice. The second section provides an opportunity to review the historical development of the Fraternity as summarized in the accompanying Pollard Plan Booklet. Finally, the handout materials provide extended and alternative means of review and instruction. It is hoped that this material will stimulate the new Mason to contemplate the meaning of the Fellow Craft degree in his own life. Although the Fellow Craft degree does not receive the attention it deserves, as the middle degree of Freemasonry and is often criticized by scholars of ritual, a careful scrutiny of our second degree leads the Masonic educator to a very different conclusion. A study of the degree leaves him wondering just how any program of Masonic education can do justice to this middle experience of Freemasonry which is as rich in color and design as a Persian rug and which has such a vital place in the three steps of the Master’s Carpet. To begin with, the degree samples the experience of the builder: his awe, his inherent capabilities, his undaunted lust to imitate the divine plan from the rude beginnings of civilization to the present and from the present forward to that time when the intellect of man joined with compassion and virtue shall erect the high spires of wisdom beneath which man shall dwell with the blessings of peace and plenty. Man’s quest for knowledge and wisdom is a goal of the Fellow Craft Degree and it is demonstrated by the sanctuary of the Middle Chamber, reached by means of a Flight of Winding Stairs which represent nothing less than a liberal and a moral education. The ritual presents only the briefest view of the development of the arts and the sciences and of their place in the story of the builder. With a few suggestive brush strokes, the ritual sets the stage for further inquiry. We would neither expect nor desire the ritual to be set aside while a course in analytic geometry is conducted in order to convince the candidate that truly geometry "is the root of the mathematics," or a survey of modern atomic physics is presented to illustrate how form and structure permeate the world of nature. For the Masonic educator, discerning what has been left out is as important as comprehending what has been included. It is as difficult for the instructor to develop, in educational sessions, the considerations implied by the ritual, as it was for the Masons who first formulated the present degree. The instructor, however, can open doors, as it were, which will allow the new Fellow Craft to glimpse the wide vistas which spread out on every side from this "middle degree." Despite its emphasis upon the academic, the Fellow Craft Degree is an essentially human and personal experience. It is far from being cold and austere. As Masonic writers have often pointed out and as the lecture of the third degree makes manifest, our "middle degree" is concerned with our "middle years" of manhood. The Middle Chamber as a goal, the flight of winding stairs as a way, and our manhood as the stakes, are united in a presentation which has to do with the maturing human being as seen through the history of civilized society in general. It is obvious that we are not dealing with any particular chronological age when we consider Masonic manhood, but rather the period in life when a man must come to grips with human existence its joys, wonders and agonies. We need go no further to underscore the importance of the quest for Masonic manhood, be it for the individual or for the well being of the Craft. It is equally obvious that the "middle degree" makes meaningful the God centered, moral lessons of the Entered Apprentice Degree while preparing the way to the significance of the Master Mason Degree. Any educational assistance which renders these points clearer to the new Mason is worth our effort and our careful planning. The Masonic instructor can best accomplish his objective of assisting the new Mason by taking advantage of every opportunity to focus attention upon the fundamental lessons of the Fellow Craft Degree and by leading the way toward a contemplation of the degree's message to the individual. As an example of such an opportunity, let us take one aspect of the ritual which might well bring a question from any new Mason who is thinking critically about his Masonic experience. It is a point which has certainly been brought up by other students of Freemasonry. This point of question has to do with the Orders of Architecture. During the 17th and 18th centuries, the older discovery of an all embracing faith was mingled with the upwelling of the enlightenment which found in the classical world, as well as the emerging of science, an inspiration for a new hope in man's ability "to imitate the Divine Plan" and to use the laws of nature for the purpose of bettering society and man's life here upon earth. Freemasonry, developed its philosophy and ritual as a synthesis between the established age of faith and the emerging age of reason. The general want of this very synthesis in our present society has given rise to many of our current social ills and individual anxieties. What an opportunity for bringing light in the new Mason's understanding of the importance of Freemasonry is supported atop the Orders of Architecture! One of the principal activities of the Masonic instructor lies in making more significant the past experiences of the new Mason while preparing the way for the next step in his Masonic journey. In the Fellow Craft Degree, the new Mason is introduced to the Temple of King Solomon. How better can the new Fellow Craft be led to contemplate the moral significance of the Entered Apprentice Degree or be prepared for the coming experience of the Master Mason Degree? The Middle Chamber lies within Solomon's Temple. The new Mason may well wonder why. He may also reasonably question why the Temple has so fascinated men through the centuries. Unless he can find an answer to these questions, an important teaching of the Fellow Craft may be missed. The Temple was not, after all, more magnificent in earthy trappings, nor built on a grander scale than many a temple along the Nile and the Euphrates. What is it about the Temple which has so stirred man's mind? Is it because God's very presence dwelt in that sanctuary and among the people? If this is so, then we have found a special significance for the Temple motif in Freemasonry. Without the presence of' the Supreme Intellect, ordering the universe, our aspirations and our hopes are but ripples in the void of blind chance soon to disappear in the meaninglessness of chaos. Without God's presence in the Middle Chamber as a symbol of wisdom the darkness will follow our climb up the Winding Stairs and at the turning we shall meet only despair. Finally, the Masonic educator should not lose sight of the meaning within the very name of this degree, which is so much in the middle and in the midst of our Masonic lives. In you the new Mason should find a living example of this fellowship dwelling within the lodge of the builders. Objective: To provide the new Fellow of the Craft the opportunity to review the major experiences of the Fellow Craft Degree within the physical setting in which that experience took place. a. Bible, square, and compasses laid on altar. b. The working tools of the Fellow Craft in the east. Climate: The Instructor or Educational Coordinator should endeavor to create an atmosphere, which is both inspirational and informal. This section is intended to be a structured review, but the new Fellow Craft(s) should feel free to ask questions and take an active part in the review. Note: The text below is not intended for memorization. It is intended as a guide for the instructor. Set in brackets are references to various Masonic sources. These references are included to assist the instructor who wishes to enlarge his own background and understanding. New Fellow Craft(s) in the preparation room. The preparation room is an appropriate place for us to begin a review of the Fellow Craft Degree, for how well we are prepared for any new undertaking determines how much we will profit from the experience. In the preparation for this review, I would like you to recall the Three Jewels of the Fellow Craft. If necessary, remind the new Fellow Craft(s) of the explanation of the three jewels and their explanation as given in the Fellow Craft's lesson. Knowledge and its proper use in the quest for manhood is a major theme of the Fellow Craft Degree, but as we pass through the experience of this degree, we are impressed with the fact that, as important as instruction and study are, something more than a liberal education is needed. We must find wisdom, and wisdom involves a personal commitment, as well as an understanding of facts. Wisdom is a matter of the heart, as well as the mind and of morality, as well as knowledge. It demands an understanding of ourselves and of others which passes beyond mere attainment of information. As you stood awaiting admission into the lodge, you wore the cable tow for the second time. Review with the new Fellow Craft(s) the way in which the cable tow was worn and the explanation as given in the candidate(s) lesson. The cable tow which you wore has many meanings. Among these meanings are imposed control, dependence, and even subjugation. During the course of the Fellow Craft Degree, this physical cable tow was removed, and through your free and willing resolve, you assumed quite another cable tow, which involved not outside control, but your own inner dedication to a way of life and to the mutual obligations of a Mason to the Fraternity. By this cable tow of your conscience you became a Fellow of the Craft. The length of this cable tow is determined by the extent of your own abilities and your own resources. Note: The length of the cable tow has been the topic of much discussion. Interestingly, the physical length by which a Mason's obligation required his answer to a summons by his lodge was determined among the first speculative lodges of London as being three miles, the distance a man might walk in one hour. The Baltimore Convention of 1843 defined the length of the cable tow to be that extent of commitment, which represents what might be reasonably expected of the individual brother. Knowledge, understanding, responsibility, and achievement are principal themes of the Fellow Craft Degree. In order for there to be wisdom, these elements of character must be united with that inner morality and just purpose which characterize the individual who is in tune with his Divine Creator. This union of knowledge and virtue, which is the mark of wisdom, was symbolically represented by the manner in which you were received into the Lodge of Fellow Crafts. Review the manner of reception using the Senior Deacon's Tool, if necessary, to focus attention on the personal implications of the reception ceremony. Note: As there are two choices of scripture to be given during the Rite of Circumambulation, the instructor will have to adapt the following consideration to the practice of his own lodge. The scripture, 1st Corinthians 13:3, repeated as you circled the lodge room was an important part of your Masonic instruction. Only with the support of faith can man face the challenges and the tribulations of life with a lasting hope, and only through a growing appreciation of the full meaning of love (charity) does faith enfold us in a sense of belonging to that which is universal and divine. You will remember the final words of the scriptural passage, ”And now abideth faith, hope, and love (charity). These three; but the greatest of these is love (charity)." In some lodges, the scripture presentation is taken from the seventh chapter of the Book of Amos. This scripture can also be found in the Maine Masonic Textbook. In this text, Amos envisions God standing upon a wall with a plumbline in his hand. The plumbline is a symbol of moral uprightness set as a standard conduct, as God intended, among the lives of men. Your obligation as a Fellow Craft was more specific than that of the Entered Apprentice. In particular, emphasis was placed upon your duty to the Craft as a whole and your responsibility to involve yourself in establishing the wellbeing of each individual member. In a larger sense, the duties of a Fellow Craft are emblematic of his responsibility toward his fellow human beings both from a standpoint of the maintenance of civil society and private charity. The importance of the Fellow Craft is demonstrated by the selection of working tools, which are his particular implements of labor. These tools were and still are essential instruments in the hands of the operative workman. As symbols, they become the jewels of office worn by the three principal officers of the lodge: the square worn by the Master, the level by the Senior Warden, and the plumb worn by the Junior Warden. Note: The new Fellow Crafts should be allowed to handle the working tools as they are discussed. The tools should be such that they could be used in operative practice, and sufficient care should be taken to assure that the new Fellow Craft(s) understand how they operate. As you have been taught, the square is a symbol of morality and of virtue. It has been considered a symbol of these principles from the earliest records of civilized society. The square is used in many common expressions in our everyday conversations, including “are we square,” “square up” and “fair and square”. Perhaps these expressions have tended to dull a general appreciation of the wisdom symbolized by this instrument. The square remains one of the most important guiding symbols for Freemasons. For us the meaning of the square reaches beyond our daily lives with our fellow men to the very foundation of the universal order itself. It symbolizes the combined actions of a brotherhood of man seeking to understand the meaning of life and moving toward that perfection of character, which reflects the splendor of our Divine Creator. The key feature of the square is its angle of ninety degrees formed between the horizontal and the perpendicular. The square is closely related, therefore, with both the plumb and the level. Note: The relationship of the square to the horizontal and the perpendicular can be illustrated by use of Fellow Craft Sheet, Number One, but this sheet should not be handed to the new Fellow Craft(s) until after all the tools have been examined and discussed. The plumb, though a simple instrument in construction, responds to that vast and unseen gravitational field which surrounds us here upon the earth. Directed by this natural force, the plumb points to the center of the earth thus allowing us to establish a perpendicular and to judge the "uprightness" of verticals. Note: The instructor should use both hand motions and the plumb, itself, to make clear this portion of the discussion. The plumb derives from its operative usage to symbolize uprightness of conduct. It directs our response to both the moral sense within and that code of virtuous conduct which man has discovered to be fundamental in his proper and constructive dealings with his fellow men. These two emblems are made to work in concert, since he who lives his life in plumb is better enabled to act upon the square with his fellow men. By uniting the square with the plumb, the level allows the operative workman to lay horizontals. Symbolically the level teaches equality that standard of human dignity and individual worth which so characterizes the spirit of Freemasonry. Each of us has been created to achieve, to establish, to express our own individuality, to face life, and to live with compassion, in short to be a man. It is upon these God given elements of our human nature that true worth of the individual rests and not upon race, lineage, creed, or manifestation of special achievement or renown. "We meet upon the level and we part upon the square." At the close of the first section of the Fellow Craft Degree, you were told that operative Masons received certain wages in payment for their labors. Can you recall the nature of these wages? The rewards of our labors within speculative Masonry cannot be valued in terms of material wealth. They represent the nourishment of our spiritual lives and the opportunity to truly serve our fellow men thus obtaining that health of spirit and that joy of soul, which is beyond price. The second section of the Fellow Craft Degree is a symbolic passage representing both the growth of civilization from its primitive beginnings and the individual Mason's quest of manhood and the attainment of wisdom. At the beginning of his symbolic journey stand these two pillars. You will find the discussion of pillars a most fascinating subject. Sufficient for our present purposes, is the fact that Masonic passage as Fellows of the Craft begins with those symbolic representations of strength and establishment. The pillars also stand as a testimony of a promise on the part of our Creator and an obligation on the part of men. We are told that these two pillars represent the brazen, or brass covered, columns that stood at the entrance to King Solomon's Temple. It is important to remember that the splendor of Solomon's Temple and the grip that this structure has had upon the minds of men emanates from the presence of God, active and moving in the hearts of his people, was felt to emanate from this holy house. The globes which represent the earth and the heavens give a further symbol of God's creation and the universal nature of the application of the principals of Freemasonry. Note: The instructor should be aware that the globes represent a relatively recent addition to the symbolic pillars. See Roberts, p. SI. The reference in the ritual to storage of records alludes to another Masonic tradition often referred to by the term antediluvian Masonry. See Mackey’s Revised History of Freemasonry (Clegg), Vol. 1, Chapter Seven "The Legend of Lamech's Sons and the Pillars"; Roberts, The Craft and Its Symbols; Maryland; Short Talk Bulletin, "Columns and Pillars," November 1949; Coil's Masonic Encyclopedia. On Solomon's Temple First Kings,67 and Second Chronicles, 24; MacBride's Speculative Masonry; 1st Kings, Chapter 7. Note: The following section can be illustrated with handout sheet Fellow Craft Sheet, Number Two. The goal of the symbolic quest for manhood and for wisdom, as portrayed in the Fellow Craft Degree, is the Middle Chamber of King Solomon's Temple. In First Kings, Chapter 6, Verse 8, we are told: "and they went up with a flight of winding stairs into the middle chamber . . ." The flight of winding stairs represents the attainment of knowledge and the quest for achievement. Note: The role which numbers play in the symbolism of the winding stairs and the part which a mystical interpretation of numbers have figured in man's groping for an understanding of the universe is indicated on handout sheet number two. The instructor may wish to call the new Fellow Craft(s) attention to this side issue.. See Coil's Masonic Encyclopedia. The winding stairs, like all true symbolic presentations, provides us with a host of implications and insights upon which we may expand our appreciation of life and its meaning. Step by step the stairs represent the upward climb of men's understanding and his quest to "imitate the Divine plan." The view becomes more extensive the higher we ascend up the staircase; yet this view with its widening horizon can only be obtained by the toil of climbing. It has been suggested that the winding stairs has a further illusion. Because of the turning, what awaits us as we progress is hidden, and we must progress with courage and with faith that the stairs will carry us upwards to that destiny which the Divine Artificer, in His wisdom, has ordained. Our Masonic experience is represented in the first three steps of the winding stairs along with the support of the three principal officers of the lodge and the assistance of the craft as a whole. The next five steps represent man's attempt to build with harmony, strength and beauty through the proper use of form and proportion. The lessons from the orders of architecture reach beyond their applications in stone to the building of the temple within the individual. They symbolize a proper development of our mental capacities and our five senses. There is a hidden message in the first eight steps of the Fellow Craft Degree. Reflecting life around us, our knowledge of the Craft builds upon itself. The first three steps remind us of the three principle officers, which we were taught in the Entered Apprentice Degree represent wisdom, strength, and beauty. The “ancient original orders in architecture” also represent these same three principles. The Ionic column depicts an opened scroll, the very source of learning for the ancients, and represents wisdom. The Doric column is simple and sturdy and thereby demonstrates the essentials of strength. Finally, the Corinthian column is enriched with intricate floral designs on its capital, showing to the entire world its great craftsmanship and beauty. The principle officers, and King Solomon, King Hiram and Hiram Abif, whom they represent, are always depicted with these columns to cement our understanding of these ideas and encourage their application to our lives. The potential of our intellects and our rational ability to comprehend are symbolized in the next seven steps, which depict the seven arts and sciences that once made up the curriculum of a classical education. Here we have outlined the essentials of the communication, computation, logical analysis, and awe inspired by the universal order. Though phrased in a language of the past, the scope of these arts and sciences contains the basis for man's present and future attainments of the mind and the inventions of his creative nature. We now come to an interesting part of the Fellow Craft ritual. In many ways it represents a curious portion of the instruction, but at least one interpretation brings us a realization of the seriousness of human quest. The sheaf of wheat is a symbol of plenty, the results of a well-earned harvest, but this sheaf is suspended at a river crossing, symbolizing a place of transformation and of danger. In symbolic language, we have arrived at a point where it is of greatest importance for us to be able to frame correctly what we have experienced. Knowledge without understanding, power without compassion, strength without control, ingenuity without moral responsibility, and even understanding without inner conviction and faith are all in vain and will not suffice to complete your passage to the Middle Chamber and wisdom. Euclid once noted "there is no royal road to geometry." There is no easy path to understanding the full import and meaning of the Masonic symbolism represented by the science of geometry. Once, this science was the foundation of the ancient, operative craft and the source of their secrets. In modern times, geometry represents the united wisdom of Freemasonry unifying the meaning of its symbols, displaying the wonders of structure and form in nature, underscoring the necessity of social and civil order, and giving evidence of the Supreme Intelligence which created both the universe and with it the mind of man. On arriving in the East, representing the Middle Chamber, you were given one of the most splendid of Masonic utterances: the "Letter G Lecture." We have included a copy for the candidate, and we urge them to read it with care. Here in symbolic representation you arrived at a place where, in reality, only your continued dedication, perseverance, labor, and study can bring you to the true Middle Chamber of wisdom where the imperfect understanding of man touches the perfect understanding and the will of the Supreme Architect. Here within the Middle Chamber of our second degree you stand as a Fellow of the Craft supplied with the skills and the tools of a workman. Before you lies the degree of a Master Mason with its sublime teachings of man's final destiny. Note. Handout Sheet, Fellow Craft Sheet Number Three, provides a condensation of the excellent material on the meaning of the Fellow Craft experience as taken from the Tried and Proven. Roberts, The Craft and Its Symbols; Short Talk Bulletin, "The Letter G," June 1933. There is a close relationship between these three tools. Both the tools themselves and this interrelationship provide an endless source of symbolic application. It should be noted that both the operative plumb and level, as depicted in the Masonic representations, depend upon the force of gravity for their operation. (If this is not clear, ask your instructor to explain.) The symbolic level and plumb are also dependent upon a universal principle, in this case, that Divine and moral purpose which Freemasons believe pervades the whole universe. The square is closely associated with both the level and the plumb. Its significance lies in providing the builder a means of testing that perfect relationship which exists between the horizontal and the perpendicular. The Plumb The plumb as a symbol appears in the Old Testament (see Amos 7: 78). The symbolic meaning of the plumb in the Book of Amos is one of judgment: a judgment of uprightness. Such a judgment may appear straightforward, but, as in all such situations which involve the complexities of life. The judging of uprightness in both ourselves and in others is never a simple operation. A man must judge himself and, in turn, be judged by others according to the most upright principles that he knows. Freemasonry teaches that while an uprightness of character is a deeply personal matter, there are outward standards of conduct which involve the tenets of our profession as masons and the cardinal virtues of temperance, fortitude, prudence, and justice. It is to these standards of rectitude that each mason must compare his conduct when applying the plumb to test the course of his actions and the value of his opinions. The Level The level is a symbol of equality. Again the mason must consider what is implied when we speak of equality and employ the symbol of the level. What is the basis for the concept of human equality of which Freemasons speak and upon which they endeavor to base their dealing with other human beings? Certainly it is not a naive assumption that all humans are born with equal potentials for that equality can be assured by taking the, awards from those who achieve giving them to non-achievers. The Masonic concept of equality is based upon recognition of the inherent dignity and worth of all human beings as individuals and as members of the human family as created by God. Equality thus involves not only the right to equal opportunity but the right to genuine respect for all based upon "the internal and not the external qualifications." The equality of the level transcends any supposed differences of race, gender, ability, honors, or material acquisitions. The Square Of all the symbols prominent in the teachings of Freemasonry, none is more ancient or widespread in its common use than the square. Yet for all its use, what is the meaning of the symbolic square? To say that the square symbolizes honesty in thought and conduct is only to introduce the meaning of the square. To reiterate that, the 'symbolic square is linked closely to the level and the plumb is only to suggest its implications. "To act upon the square" is a phrase which involves the whole meaning of being a Freemason. To constantly be aware that each act, each thought, and each impulse should be tested for its true relationship to our purpose as masons is the proper application of the moral and symbolic square,. To "try" with a square is a fine old word meaning a repeated application of that instrument to see if one is achieving the "right angle" relationships intended. To "try" our lives, thoughts and actions by the symbolic square is to test how closely we are living to the principles symbolized by the plumb and the level and which are given voice in the moral teachings of Freemasonry. There is a very old saying among masons that in parting each others company, they do so "on the square." Though they depart in many directions, they take with them that symbolic instrument which will assure that their actions will be a continuation of a common purpose as builders of well-being and that they shall return in proper relationship to the intentions of the Grand Architect. Note: For further consideration of the plumb, level and square ask your instructor for references to the many sources on this subject. Masonic thinkers often point out that the three degrees of Ancient Craft Masonry, the Entered Apprentice, Fellow Craft, and Master Mason Degrees, can be associated with man's passage through life: youth, manhood, and age. In such a view, the Fellow Craft represents adulthood. 1. Does adulthood mean having lived through a certain number of years or does it represent a condition in which a man has become acquainted with the realities, the responsibilities, the disillusionments, and the rewarding challenges of life? A Fellow Craft, as our ritual describes him, is a hewer in the mountains, a man laboring in the midst of life and being put to the test of whether he shall be proven adequate. As an adult his life is in the balance. Will he find in life's experience a joy and reward or defeat and drudgery? 2. Experience and education are two important contributors to the state of adulthood. Through his senses and contact with life around him, man learns the lessons of experience. Through education, a man's awareness and understanding are greatly extended by means of the experience of others. A Fellow Craft will recall that both experience and education are principal concerns in this Degree, and that there is a third concern toward which the progress of that degree continually travels that concern is the quest for wisdom. 3. Experience brings us into direct contact with life; education expands our knowledge and competencies, but there is a greater and essential element. To make meaningful the varied experiences which come our way, to see ourselves and others in a fair perspective, to feel that our lives have a meaning associated with that which is far greater than ourselves, involves wisdom. 4. If a man is to acquire wisdom, it is by a winding and upward climb and arduous progress involving caring and sacrifices, knowledge and understanding, faith and communion. 5. In adulthood it will be made evident whether a man has discovered for himself that "pass" which will admit him into the Middle Chamber where dwells the source of wisdom and universal meaning and there he will receive the wages of joy and fulfillment. For further discussion see the Masonic Service Association's Tried and Proven.  The internal not the external qualifications.  Adherence to duties and the value of these duties.  Laws and Regulations to be strenuously supported.  You are to judge with candor, admonish with friendship, and reprehend with justice.  The great value of the liberal arts.  Geometry and the demonstration of the properties of nature and the truths of morality.  VI Expectations placed upon the new Fellow Craft. Cubit (n) - an ancient measure of length, represented by the length of the forearm, about 18 to 20 inches. Test Your Knowledge of the Fellow Craft Degree! 1. The Fellow Craft Degree symbolizes what period of man's life? 2. What does the Level symbolize? 3. What does the Plumb symbolize? 4. What are the names of the two pillars at the entrance of King Solomon’s Temple? 5. What do the “Winding Stairs” represent as a whole? 6. What do the first three steps represent? 7. What do the next five steps represent? 8. What do the final seven steps represent? 9. What is taught on the journey to the Middle Chamber? 10. What is meant by the term "Middle Chamber"? 11. What is the significance of the letter “G”? 12. What are the responsibilities of a Fellow Craft? 13. What is emphasized in the Fellow Craft Degree? 14. When did we start to transform from Operative to Speculative Masons? 15. 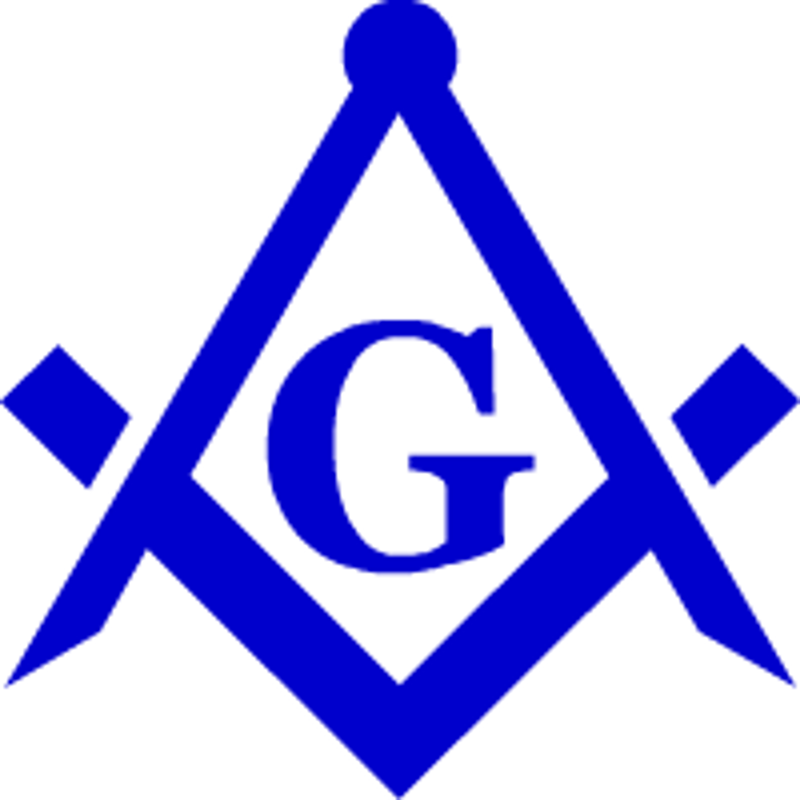 Where was the first Grand Lodge formed? 16. How does a Fellow Craft wear the Apron? 17. What are the principle working tools of a Fellow Craft? 18. The “Square” is an instrument of what? 19. How many Orders of Architecture are there? 20. How many Liberal Arts are there in Freemasonry?